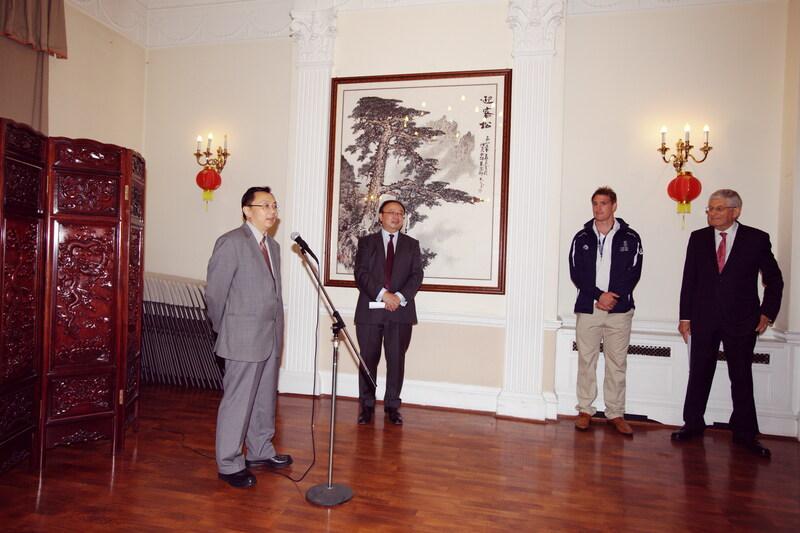 On 24 July, the Chinese Embassy in the UK held a reception for the male and female rugby teams of Swansea University due to leave for China for the First China-UK University Sports Week. Charge d'Affaires Ni Jian, Vice-Chancellor of Swansea University Professor Richard Davies, and Director of Education at the British Council in China Mr. Jim Addison, attended and addressed the reception. The reception was presided over by Minister Counsellor of Education Shen Yang. In his speech, Charge d'Affaires Ni Jian expressed his hope that, through the upcoming event of sports exchanges between Chinese and British universities, Swansea University's rugby team will work with Chinese universities in sports and athletics, increase their understanding of China, and forge friendship between the young people of the two countries. He wished the students a success in the competition and a pleasant trip to China. Vice-Chancellor Richard Davies and Director Education Jim Addison spoke at the reception. They thanked the Chinese side for this valuable exchange platform and hoped that the students will seize this opportunity not only to compete in sports but also to foster friendship and mutual learning between university students of the two countries. As part of a host of China-UK cultural and people-to-people exchange events this year, the First China-UK University Sports Week, hosted by the Department of International Cooperation and Exchanges of China's Ministry of Education and organized by the Federation of University Sports of China (FUSC), will be held from 25 to 31 July in Beijing. 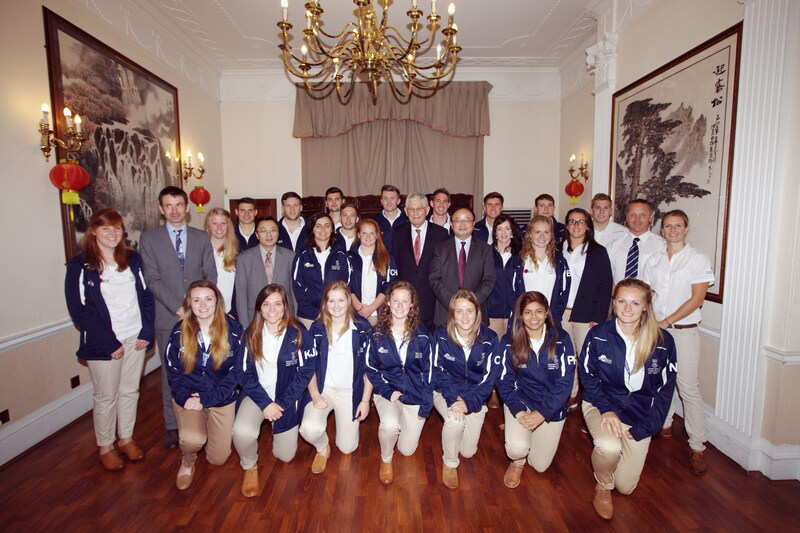 Male and female rugby teams of Swansea University will participate in friendly matches and exchange events with Beijing Normal University, China Agricultural University, Tianjin University of Sport and Beijing Rugby Club. During the Sports Week, Swansea University will also sign cooperation documents on, among others, cooperation in coach training with FUSC.